There is a hot debate running nowadays on news channels about the topic of restriction of online content or regulation of some kind, thereby restricting the freedom of expression of individuals, a group or certain community of some kind. Well, blogs are meant exactly to do this, they provide everyone with a free platform, allowing the general public the freedom of expression. It can be any review of movie, book, or restaurant or science & technology, literature, art or just an opinion about anything and everything. Do actively participate in the blogging communities, there is a lot you can learn & take back home by being active in the competitions or events held. 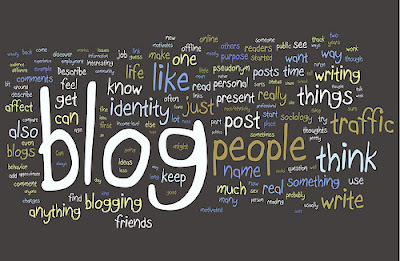 Once you become popular in blogosphere, you can consider your blog generating some money by putting up some advertisements, but just be careful to draw a line so that your blog will not turn into the state the times of India newspaper has become these days. Do respect the sentiments of people, & realize the fact that people are entitled to their own opinion, whatever it may be. Avoid plagiarism & be sure to mention the source of the pic or content in case if you have put up something that does not belong to credit the source in case you want to put up something which is taken form internet. When you write some articles, you tend to be get driven to decorate your blog, you see the blogs of friends or colleagues & you aspire that your blog must also look good, so that it attracts more readers. In this marketing era, packaging is also important, but just be cautious not to overdo your blog, too many widgets, too many photos, etc, will distract the readers, also it will take a lot of time for the webpage to download. Thus the whole idea of blogging is to express your opinion, your take on a particular subject, tell a new story or tell a story newly. Well if you don’t want people to see your personal writing stuff, then a personal diary is the best one. One may choose to write anonymously as well. In the real world you are the person who you actually are, but you can be anyone in online world. You can build up your own image & identity & a blogger will always aspire a niche audience. & last but not the least, thanks to social networking sites which are also popularizing the blogs & giving a bigger set of audience for you blogs.